I thought you all might enjoy this. And these UGA fans were there to see it! 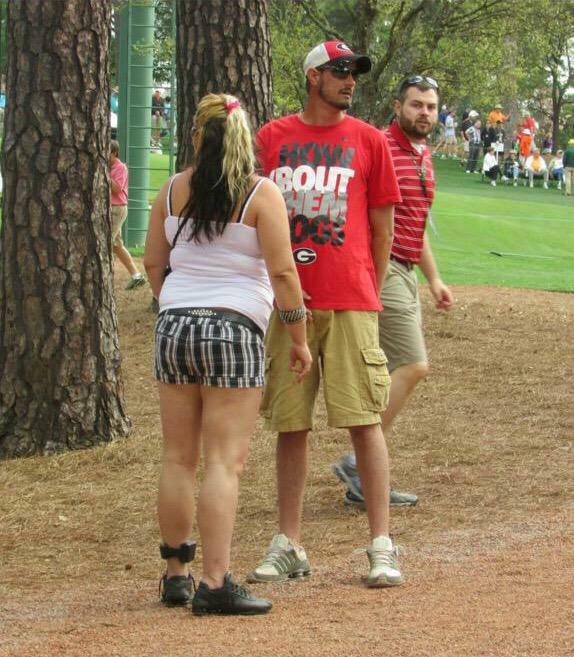 Re: And these UGA fans were there to see it! She has a freaking ankle monitor on, haha! How did she get tickets? She don't look like the caliber Tiger would, well you know? She must have some other high end clients? I'm assuming her left hand has a smoke and the gentleman is cuffed. Watch it. That could be some of Supermutt or Bulldog's relatives.